By Samantha McIsaac, Science writer Pathways to Stem Cell Science. Pathways to Stem Cell Science is excited to introduce our new Program Director, Dr. Mickey Pentecost. A cell biologist, engineer, and self-described “creative entrepreneur”, Dr. Pentecost joins our mission in advancing stem cell science and regenerative medicine while inspiring and preparing students for future bioscience careers. Dr. Pentecost received his Bachelor of Science in engineering from The Cooper Union for the Advancement of Science and Art in New York City. He then went on to earn a PhD from Stanford University School of Medicine while pioneering new research methodologies that enabled him to make significant discoveries in the mechanisms of microbial infections. 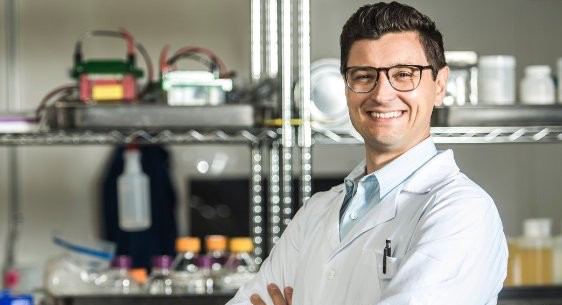 Dr. Mickey Pentecost completed a Postdoctoral Fellowship at UCLA where he continued his success in cell biology, discovering important interactions between viruses and cell proteins. With expertise in molecular biology, genetic engineering, biochemistry, proteomics, cell biology, microscopy, bacteriology, virology, bioprocessing, biomanufacturing and data science, Dr. Pentecost will certainly be an asset to the team in multiple facets. His roles include helping with philanthropic fundraising and grant writing – to this end he has already secured a nearly $50,000 grant for our upcoming CIRM SPARK conference. Operating in collaboration with Caltech, the CIRM SPARK conference showcases the scientific accomplishments and presentations of high school students researching stem cells. Supervising and mentoring student researchers in the past as a Postdoctoral Fellow, Dr. Pentecost will now further our goal of preparing students for modern bioscience careers through teaching a new hands-on molecular stem cell biology course for high schoolers. This course will help us provide real-world education in the application of modern techniques for cloning engineered fusion proteins in stem cells. Dr. Pentecost will also help us partner with schools and other educational programs, including a STEM initiative with the Lower East Side Girls Club in New York. His addition to the team will assist Pathways to Stem Cell Science in creating more opportunity for students to learn about bioscience, furthering our educational objective of public education and outreach. Dr. Pentecost’s impressive accomplishments include receiving a National Research Service Award and co-authoring eight peer-reviewed publications and one patent. Also, at Cell Care Therapeutics in Los Angeles, California, he was Principal Scientist and then Director of R&D, where he established a biomanufacturing process for a novel stem cell-derived biologic. Dr. Pentecost’s role at Pathways to Stem Cell Science will be coupled with contracted research and launching his own stem cell therapeutics company, Diadem Biotherapeutics. The company will focus on developing Mesenchymal stem cell-based therapies for COPD. Pathways to Stem Cell Science is truly excited to welcome Dr. Mickey Pentecost!